Low-pressure weather systems remain in charge over the Alps until Sunday. It has been snowing heavily in the French Southern Alps and west of the Italian Piedmont since Thursday evening. The weather will continue to be unsettled over the weekend delivering more snow, especially on Friday and Saturday; first favouring the south-east then the northern Alps again later. Fluctuating temperatures and strong wind will make for unstable snow conditions, especially below 2000m. A weak layer makes the snowpack unstable higher up. 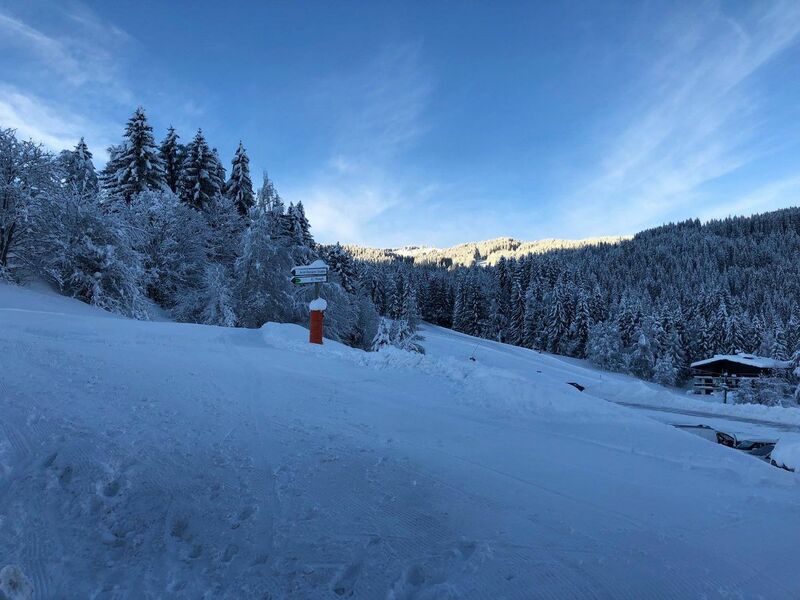 Meteo France put the avalanche danger rating up to 5 on north facing slopes in the Haute Tarentaise and all slopes in other Savoie regions. On Sunday The current turns to the north due the low pressure area which is moving to the east. It gets colder fast and the warm humid air that is still to the north of the Alps is getting stuck between the Alps and the incoming cold air. The result is a rapidly dropping snow line and fresh snow for the north of the Alps. The weather should start to improve early next week, by which time just about all parts of the Alps should be in fabulous shape. On Monday, the high pressure kicks in delivering more stable weather. So intermittent sunshine expected from Monday. Tuesday there may be some snow on the north side. Wednesday looks nicer and brighter again. Except for some local and early morning cloudiness it seems a lot like Kaisterwetter. Possible further snow the following weekend. The southern Alps will look more stable next week. Because the disturbances mostly pass north of the Alps, the chance of sun is clearly the greatest here. The trend is somewhat less cold in the long run. This means a a freezing level that fluctuates somewhere around 1500 meters. Seriously cold Alpine weather seems to be behind us for now. More normal temperatures, but certainly no reason to panic.